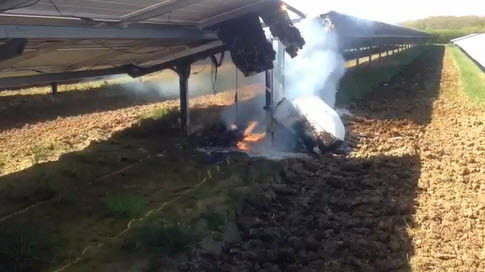 On the 18th of April Trowbridge Fire Station in Wiltshire had their hands full with a Solar Farm Fire. Up until now firefighters have not had an effective procedure or the right equipment to mitigate this type of danger. PVStop can mitigate this type of hazard in seconds!